The economic Gods have favoured Australia with some fortune that has sheltered us from the depths of the GFC. The westernisation of Asia, our proximity to the region and the resultant minerals boom have been well recognised, as have the opportunities for Asian Investment. At last month’s meeting of the Managing Partners of our Asia Pacific Accounting Alliance, held in Kuala Lumpur, the opportunities for investment to and from Australian businesses were driven home. Our Asian colleagues reaffirmed their strong interest in the west and Australia in particular, and were keen to showcase their well-educated and low cost workforces ready to support businesses expanding to and from the Asian region. Bruce Lee’s epic last film, Enter the Dragon portrays the quietly confident and disciplined Lee introducing his concept of ‘fighting without fighting, using the strength of his opponents to his benefit’. 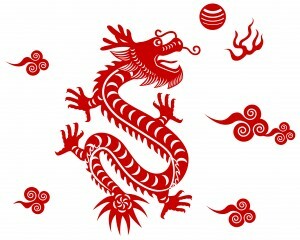 In much the same way and fittingly in 2012 the Chinese year of the dragon, we can capitalise on the great strength of our Asian neighbours. Have you thought about how the seismic shift of power in Asia will affect your business and considered what you should do to capitalise on the opportunities presented in this changing economy? Strong Asian investment interest continues in resources, property and agriculture. If you are holding these assets its important you are positioning yourself with the right organisations to ensure you are on the potential shopping list. These asset classes are the first wave with asian investment in operating businesses gathering pace. There is also activity in the smaller end of the market with one recent Asian entrepreneur we met with pledging to invest $10 million per year in various Australian businesses. A sensitive topic I know but my Asian visit confirmed we have to rethink our business models. Smart, well-educated, eager and cost effective labour from Asia will continue to have an impact on all our businesses. The challenge for each of us is to use the opportunity to focus our people on becoming customer facing knowledge workers while evaluating opportunities to outsource more rudimentary tasks. Over the last year, we have noticed a strong increase in enquiry and referrals from our International Alliance partners from around the globe. With limited growth opportunities in Europe and North America, western businesses with an eye on the emerging Asian Century are seeing expansion into or acquisition in Australia as a good first step Asia Pacific option for two reasons. Firstly, they are more comfortable with the regulatory and cultural fit that Australia provides; secondly, our solid growth prospects from our proximity and increasing connectivity to Asia gives their start up or acquisition a greater chance of success. Whatever your business, it is unlikely you will be untouched by this continuing phenomenon. I recommend that you make the effort and get connected. 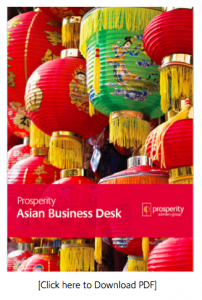 There are a number of Asian focused business groups as well as printed and online publications that will assist you to understand the opportunities. Some time back our firm established an Asia Desk following our analysis of the opportunity. We appointed a Director, seconded two Mandarin speaking staff and increased our contact with our Asian Alliance partners and local Asia business groups.We translated our material, including business cards and have now held several business meetings solely in Mandarin. Through building this expertise we have advised private and State Owned Asian enterprises on an increasing number of transactions and plan to continue the growth of this area in our business. You may also consider expanding your business into Asia. The increasingly wealthy population provides attractive opportunities. However it is important to tread carefully. A thorough knowledge of the market, culture and regulatory environment for the products and services you work with is critical. A smarter way can be to consider joint ventures and ensure you have advisers with on the ground local knowledge. Investment in Asia via equity markets may also seem attractive; however individual stock picking is fraught with risk as the markets are still to mature. Diversified funds with more widespread Asian and international exposure may give you upside benefit while spreading the downside risk.